Conflict of interest with polluting industries, leads to misdiagnostics by avoiding toxicology. ♂ Presented in book "Autism"
*This chart concerns the high production persistent pesticides: DDT, BHC, arsenic and lead compounds. "The lesson to be learned from Swayze's insistence that infantile paralysis is not a contagious disease is that, nevertheless according to the law, it is a contagious disease, and that it is illegal to consider it otherwise." "Poliomyelitis is unique in that it is the only disease in the history of medicine in which a theory, and not an established fact as to its cause, has become incorporated into the public health law." "Although poliomyelitis is legally a contagious disease... every attempt has failed conclusively to prove this mandatory requirement of the public health law... Hoyne points out... the startling revelation that the etiologic agent of the disease is still unknown..."
"...when this disease was legally made a communicable disease... funds for poliomyelitis research were from then on designated for the investigation of the infectious theory only." Ralph R. Scobey, M.D., "Is The Public Health Law Responsible For The Poliomyelitis Mystery?" "In 1907, [during] an epidemic of poliomyelitis... no infant who was fed exclusively on the breast developed poliomyelitis." "Inclusion bodies have been defined as products of virus activity or the elementary virus bodies themselves. Inclusion bodies have been found in poisoned humans and experimental animals." "No intensive studies have been made... to determine whether or not the so-called virus of poliomyelitis... simply results from an exogenous [external] factor or factors..."
"Medical studies have shown repeatedly that paralytic diseases in... [domestic animals] occur simultaneously in districts where epidemics of poliomyelitis are prevalent." "Poliomyelitis investigations... have been confined exclusively to virus studies." Ralph R. Scobey, M.D., "The Poison Cause of Poliomyelitis"
"There is much evidence to indicate that the poliomyelitis virus is synthesized or activated within the human body instead of entering it as commonly assumed." "Carrel (1925) was able to produce tumors resembling [exactly] Rous' sarcoma and transmissible by cell-free [Berkefeld] filtrates with indol, arsenic, or tar in chicken embryo. Carrel's observations have been confirmed by other workers. Fischer (1926), by treating cultures of normal cells with arsenic obtained on one occasion a filtrable virus capable of causing tumors." "Harris (1913) was able to inject Berkefeld filtered tissue material from pellagra victims into monkeys to cause a corresponding disease in these animals. He concluded from these experiments that a virus was present in the injected material and that it was the cause of pellagra. If the work of Harris had been followed exclusively, various strains of this "virus" might have been discovered and a vaccine, effective in experimental animals, might have been developed, as in the case of poliomyelitis. Today, as a result of unlimited research, however, we know conclusively that pellagra is not caused by a virus but rather that it is a vitamin deficiency disease. It is obvious that if the investigations of pellagra had been restricted to the virus theory, it would still be a mystery." "...the highly specialized, neurotropically fixed virus, which has been maintained in the past by intracerebral passage in rhesus monkeys, is more likely a laboratory artifact..."
"...no other portals [aside from intracerebral injection] could be satisfactorily used to introduce the challenge inoculum [purified poliovirus solution] because rhesus monkeys, which have been the chief experimental animals, succumb... not at all when virus is ingested by mouth." "In these experiments [,using the more poliovirus-sensitive chimpanzees], the conventional method of testing for immunity to poliomyelitis by intracerebral inoculation of virus has not been attempted. It is likely that such a vigorous challenge of placing virus in intimate contact with susceptible cells might have broken through the immunity which was detectable by the more delicate approach [oral feeding of high quantities of poliovirus] used in our experiments." "Active Immunity To Poliomyelitis In Chimps"
"The experiments of Clark, Frazier, and Amoss show that after intravenous inoculation in monkeys, the virus [as thought to be detected, by challenge dosages in experimental animals] of poliomyelitis disappears from the blood within 72 hours; and other observations have shown that it is only after enormous intravenous doses of the virus that the monkey develops the disease. Smaller doses intravenously fail to produce any disturbance." "If injected with 250 to 500 cc [1 to 2 cups!] of the virus by a similar route the animal succumbed to the disease." 1 to 2 cups injected into a 20 lb Rhesus monkey is equal to 7 to 14 cups injected into a 150 lb man. "One of the landmarks in the study of infectious diseases was the development of the Henle-Koch postulates of causation. They were originally drawn up for bacteria and protozoa, but were revised in 1937 by Rivers and again in 1982 by Evans in attempts to accommodate the special problem of proving disease causation by viruses. The problem is still difficult, especially when viruses are considered as causative of chronic diseases (including several of the hepatitides), neoplastic diseases, and slowly progressive neurological diseases. Because most such diseases cannot be reproduced in experimental animals, virologists have had to evaluate causation indirectly via 'guilt by association'..."
"...from reports in the literature it appears that monkeys may suffer from spontaneous demyelinating diseases of the central nervous system." "The orthodox view is that this [poliovirus] antibody is a result of a process of widespread latent immunization by subclinical infections with the specific virus. There is no direct evidence whatever in favour of this hypothesis... As far as we are aware, there is no fully substantiated record in the literature of an individual whose serum at first containing no poliomyelitis antibody later developed it in adequately measured amount, and therefore no indication of the nature of the event responsible for the change... It is concluded that 'poliomyelitis antibody' is not a result of exposure to or infection by the virus of epidemic poliomyelitis... [In addition to this study, h]ere we need only refer to Harmon and Harkins (1936), which showed that of 183 convalescent sera 40% failed to neutralize the virus. As a control series they quote the results of examination of 512 `normal` sera. Divided into age groups, these normal sera gave the following figures: 0-4 years, 37% neutralized; 5-14 years, 48% neutralized; over 15 years, 73% neutralized. 'These observations ... cast doubt upon the importance of a single attack of poliomyelitis for the production of antiviral substance'... Brodie et al (1937 and 1938) cover very much the same ground... [other studies include...]"
"Various workers have, in fact, shown that sera from patients recovered from paralytic poliomyelitis may be completely lacking in neutralizing antibody." "Poliomyelitis: The Significance Of Neutralizing Antibodies In Human Sera"
"It was even known by 1945 that DDT is stored in the body fat of mammals and appears in the milk. With this foreknowledge the series of catastrophic events that followed the most intensive campaign of mass poisoning in known human history, should not have surprised the experts. Yet, far from admitting a causal relationship [for polio and other diseases] so obvious that in any other field of biology it would be instantly accepted, virtually the entire apparatus of communication, lay and scientific alike, has been devoted to denying, concealing, suppressing, distorting and attempts to convert into its opposite, the overwhelming evidence. Libel, slander and economic boycott have not been overlooked in this campaign." Morton S. Biskind, M.D., "Public Health Aspects Of The New Insecticides"
...the epidemics grew steadily worse each year, with the number of new cases climbing from 5,000 in 1933 to 59,000 in 1952. Salvation came in 1954 with the Salk vaccine..."
"A Paralyzing Fear: The Story of Polio in America"
Needless to say, the charge that DDT predisposed to poliomyelitis was dropped after the disease was controlled through the use of vaccines. ...such irresponsible claims [that pesticides cause polio and other diseases] could produce great harm and, if taken seriously, even interfere with scientific search for true causes and realistic means of preventing the conditions in question. Wayland J. Hayes, Jr., Edward R. Laws, Jr.
See Postulates, Graphic Research Timeline, and "Nutshell" (list of main hazards). This research is presented to encourage discussion regarding disease images. It is not presented as an authoritative and definitive source of information and corrections are welcome. The reader must be informed that medical issues are required be dealt with in a legal manner by consulting a knowledgeable and trusted doctor. My professional background includes both chemical engineering and the arts. A fascination with the politics of medicine began early after being exposed to the then prevalent medical procedures: vaccination, fluoroscopy, tonsillectomy, and mercury fillings in perfect teeth as "preventative" dentistry. Experiences like these are considered normal, and compared to some others, even fortunate. In 1987, influenced by HIV critics and vaccine critics, I began to suspect that there was a correlation between the last great polio epidemic and the last great inundation of DDT. The basic data (polio and DDT intensity) is known by everyone. After a few hours of research in the NYC Public Library I was surprised to find confirming correlations. Further research impressed a lawyer-friend and an editor at Mothering Magazine, but they wanted more research and sources. I wrote to and received encouragement from the late, great, Dr. Mendelsohn, whose most famous book is The Confessions Of A Medical Heretic. I received helpful criticism from the esteemed Dr. Wootan who was featured on 60 Minutes following the controversial removal of his medical license. He motivated me to think more critically of my "discovery." 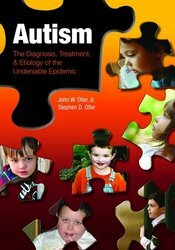 My research was shelved as a private revelation until 1996-1997, when with the publication of Peter Duesberg's Inventing the AIDS Virus, I deeply researched historical and biochemical polio related data, and by 1998, I concluded and published my findings that industrial neurotoxins caused the polio epidemics, in a book, and then with an article in The Townsend Letter For Doctors And Patients (June 2000). That article undermined the foundations of "Modern Medicine", i.e., The Salk Vaccine's Salvation Of The World, and my work was embraced and promoted by anti-vaccinationists, mainly Sheri Nakken, John Scudamore, with support from John Wantling. Year 2000, Nexus Magazine of Australia, offered to pay me for an article on polio toxicology, but then would not respond to any of my replies. The Ecologist printed a very corrupt and plagiaristic article on polio toxicology, May 2004, by Janine Roberts. The Ecologist had not previously printed any article on such a topic, i.e., a major disease epidemic as toxicological scam, and the editors would not respond to my attempts to discuss anything with them. I was surprised to find Roberts' work generally supported by major dissidents, David Crowe, Andrew Maniotis, Gary Null, Celia Farber, several Rethinking AIDS board members, 47 professional signatorees, Mike Hersee, and Liam Scheff -- unrepentent -- and many vigorously defending Roberts. Christine Maggiore (dissident publisher of Alive And Well AIDS Alternatives and Continuum) ignored my proposals for polio toxicology articles, and avoided me in forum emails. Later I found she apparently plagiarized dissident journalist Christine Johnson, according to insider Michael Ellner (NYC-HEAL). David Crowe wrote an article on polio toxicology, diminishing my research role. Some understanding of David arrived later with revelations stemming from the AIDS dissidents scandal with regard to "The Letter". Thanks to microbiologist Stefan Lanka, one of the first dissident authorities to praise my work, after Townsend Letter published me And thanks to the encouragement of prominent AIDS dissident Anthony Brink. Initial thanks to Peter Duesberg for revealing virology's more obvious contradictions, however, his idea that a virus is harmless presupposes that a virus is a valid entity and he dramatically and falsely promotes vaccination and virus pathology. I now agree with Duesberg's critics, wtih The Perth Group and their proponent, Anthony Brink. They most effectively demonstrate that HIV has simply not been isolated, and thus Perth cuts all AIDS/HIV propaganda at the root. My work had described the contradictions of virology in general. A webpage (2001) by Neenyah Ostrom (with authority Howard Urnovitz) finds that historical claims of poliovirus isolation are definitively false. We can assume that since HIV and poliovirus paradigms are based on state-of-the-art, well funded virology, then other virus paradigms and related microbiology, such as fundamental aspects of immunology, as determined from virus paradigms, are also false. My research was initially triggered circa 1987 by the emerging background HIV skepticism. Also triggering was an anti-vaccination pamphlet written by a homoeopathist (apologies, no source). His observations were that vaccinations arrived after the decline of polio and that polio was a disease going through its natural epidemic cycle. Though I did not agree with that critique, it got me thinking that polio should be critiqued. I assumed that critics like Duesberg and Perth would eventually address that problem, but a decade later, I noticed that dissidents did not address polio toxicology. As I was too busy with ordinary practical daily tasks, I could only do light polio research. Initially, circa 1987, I had opened Webster's Dictionary, Encyclopedia Britannica, and went to the NYPL to find associations of polio and pesticides via a simple computer listing of periodical titles, then a years later serious study began with textbooks on biochemistry, virology, epidemiology, and toxicology. I wrote a book circa 1997, for which I could find no publisher. I distributed a few copies to friends. Circa 1997, I continued research and found indirect statistics (transportation stats) for persistent pesticide production, enabling the generation of comparative graphs of polio incidence and pesticide production. The graph peaks pointed to the most probable dates of polio arcana (documents disconnected from history, no references) and I found the arcane writings of doctors Biskind, Mobbs, and Scobey (circa 1950-1956) I appended an article by Biskind to a secondary edition of my book. It was a tremendous relief to find Biskind because I was going against my hero at the time, Dr. Peter Biskind, who praised the poliovirus paradigm and the polio vaccine programs. Truly independent researchers (myself and the arcane authors), made similar conclusions, and revealed vast differences between the single public view and the various scientific views, though a half century apart, with different methodologies. Some people question the independence between the arcane authors and myself, but it is clear from my writing that my investigative approach is very different. I pushed the arcana to the fore because they were my brothers in spirit, and because people more readily believe authorities. manager of the former "The Vaccine Awareness SiteRing"
"Recently I found the time to review your polio website. The work is great -- and of the greatest importance." lecturer in Manhattan, at NYC H.E.A.L. Her mailing list is a must, providing timely vaccination issues and other features. "I have reviewed your website materials on polio. You have done a credible and thorough job in reviewing the scientific literature regarding polio vaccine, that has been hidden from most people. Only a careful researcher who is not being subsidized by a grant from the pharmaceutical industry would undertake such an in depth assessment. Missing from your work is the standard parroting of everyday dogma, reinforced by a hundred media snippets per week. Your work should be examined by any parent who is making the most important decision of their child's life - whether or not to vaccinate according to standard schedules." "I always find it riveting to come across an independent investigator who is breaking new ground, against all odds. Jim West is such a person. His meticulous analysis of West Nile Disease has turned the establishment on its head. We should all thank him for his work. If I were the king of Pulitzers, I would give him a dozen. He is what truly deep reporting is all about. In a sane world, his revelations would bring about the firing of scores of so-called medical journalists and disease researchers, and he would be sitting at the top of the heap -- not in order to exercise arbitrary power, but simply because he has trumped the lazy and the incompetent and the lying professionals who are supposed to tell us what is going on." This book includes my polio graphs, carefully verified. by Torsten Engelbrecht (Author), Claus Köhnlein (Contributor), Ph.D.
with the data and graphs, carefully verified. Steve Tvedten is an ingenious and natural pest control professional. Early in his career he was a "normal" pest poisoner, but he woke up to reality. He is engaged in continuous research, commentary, articles, books and practice. He has the substitute for "RoundUp". He knows roaches, ants, etc. If your home, school, office or industry has a problem, he can do the analysis and implement a creative solution. Download his amazing book. The intent herein is to provide an impartial, scholarly analysis of CNS disease and pesticides. Current research priorities are for a proof of poliovirus causation and/or a proof that invalidates industrial causation. Corrections, unaccredited sources and/or copyright infractions, if any, will be rectified upon notice. This site is not a monologue of truth. It is a catalyst for the reevaluation of "polio". The reader is urged to confront officials to clarify issues mentioned herein. This site is designed strictly for critical, literary, and academic use. A qualified, knowledgeable, and ethical medical professional should be consulted regarding medical issues, treatments, diagnoses, etc.